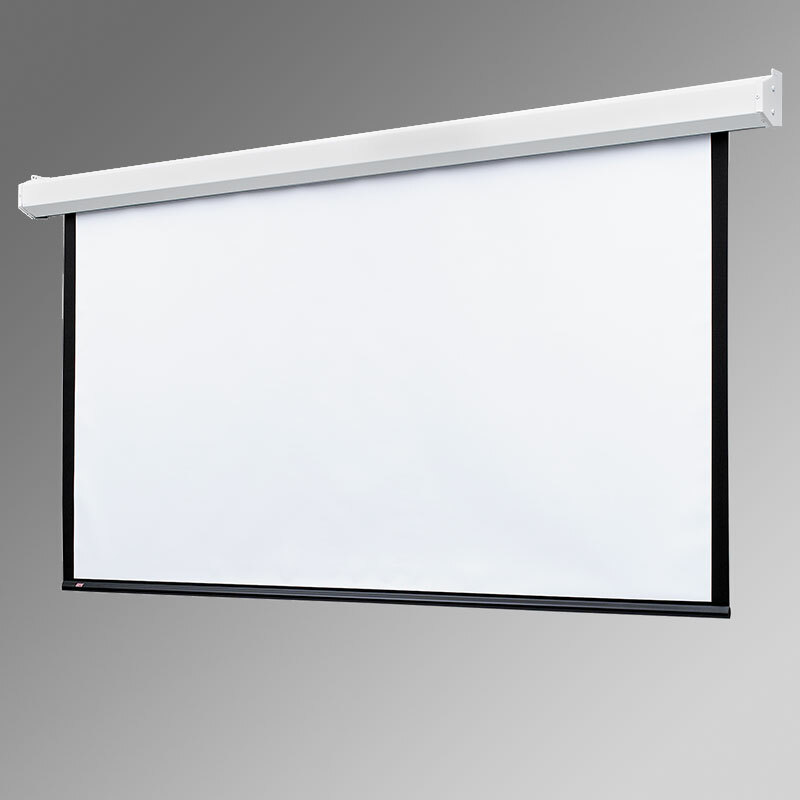 Targa electric projection screen. Ideal for auditoriums and lecture halls, hospitals, hotels, churches, boardrooms and conference rooms. The motor is mounted inside the roller, for a trim balanced appearance. Pentagonal steel case is scratch-resistant white polyester finish with matching endcaps. Sizes available are listed in charts below and depend on surface selected. Screen operates instantly at the touch of a button and stops automatically in the "up" and "down" positions. Viewing surface can be lowered to any position at the touch of a switch. NTSC, HDTV and 16:10 format screens have black borders on all four sides Available with a ceiling trim kit for ceiling recessed installation. With control options, it can be operated from any remote location. Depending on surface, available in sizes through 16’ x 16’ (488cm x 488cm) and 240" (610cm) NTSC. Custom sizes available. Warranted for one year against defects in materials and workmanship. Plug & Play with built-in Low Voltage Controller (LP) and Plug & Play with built-in Quiet and Low Voltage Controller are now available (QLP). For more information click on the Quiet Motor link in the Related Products & Accessories section below.